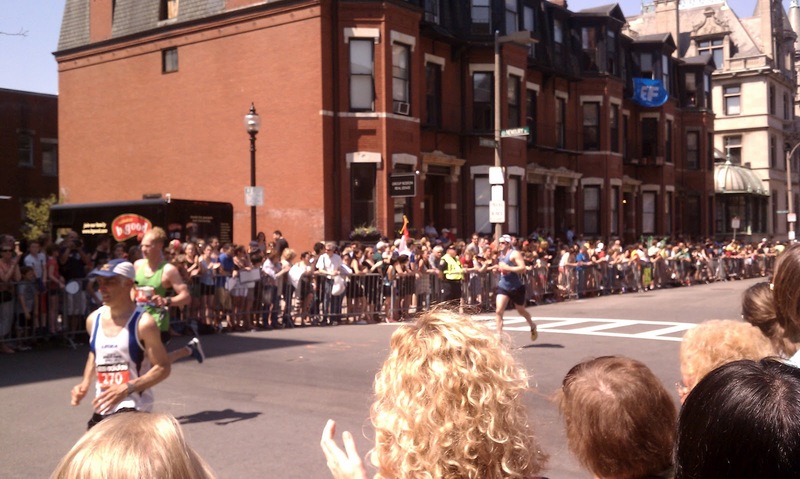 I hope everyone was able to catch some of the Boston Marathon in person or at least some news coverage yesterday. I made it down to the finish line (no, not running) to sweat watch the runners for their final moments of the race. It was fascinating to witness them going from full force through the finish line to unable to walk. It is such an amazingly exhausting feat for your body; I can only imagine what your legs must feel like post 26.2. I run 6 miles and my legs are rubber, what does over four times that feel like - past rubber to a pure liquid state? If you ran, what did you do post-race? Any inov-8 runners out there? Here are some photos from yesterday. I apologize in advance for the sub-par quality - I was not there early enough to get a good photo spot and I was using my cell phone. Runners fly by on Hereford St. by Newbury as they near the finish line! This photo suggests I was just focused on the people across the street in the shade, but I promise that someone was about to cross the finish line. Congratulations to all of the runners! I hope you are taking a wonderfully desevered break today. 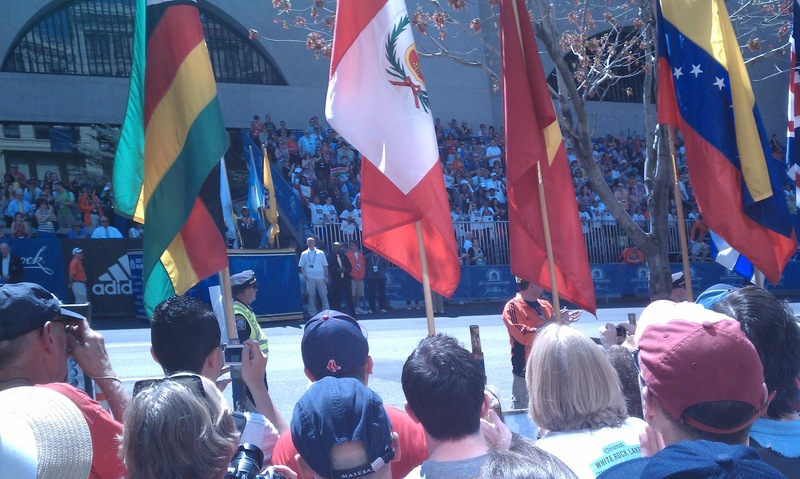 Lizzie - I was out there running and representing Team Inov8 at the Boston Marathon. It was a scourcher - but the fans along the way did everything they could to get us to the finish line, which was awesome! I suffered in the heat like everyone else, but still finished with a qualifying time (just under 3:35). The Inov8 RoadX 238s were pretty awesome - they are light yet give enough support for the long races. Plus - they had enough traction to negotiate the sections of super slippery roads (from folks dumping water everywhere) - and they drained well since I was essentially wet the entire race. Hope Inov8 was out there more than just on my feet! To answer your question - after I finished, all I could think about was drinking ice cold lemonade...but I also had some pizza which is always awesome after a long/hard effort! But, then I just wanted to get home, shower, and sit down to watch the front of the race on TV.